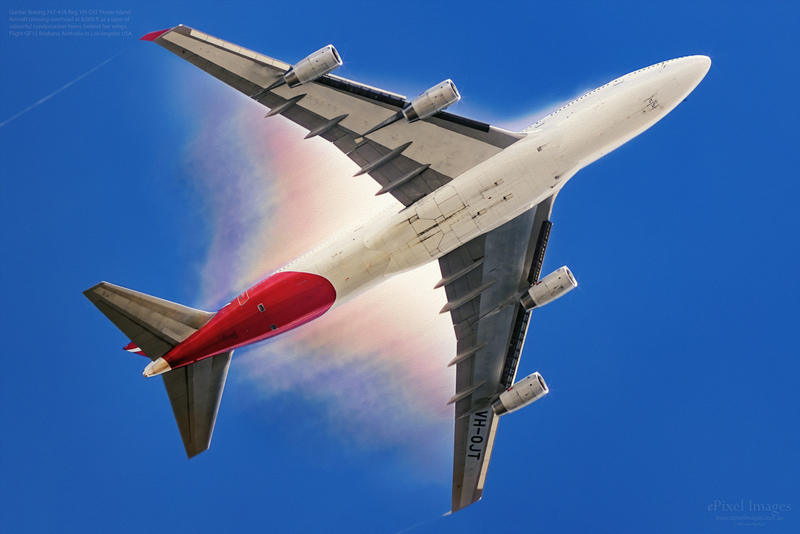 VH-OJT Qantas 747-438 'Fraser Island' Condensation forming behind the wings creates a nice rainbow effect. Flight QF15 crosses overhead at 8,000 ft on a heading for Los Angeles, USA after departing from Brisbane Australia. Condensation forming behind the wings creates a nice rainbow effect. active with Qantas, the aircraft retired from the fleet in September 2018.